Many people mistakenly believe that you have to be a savvy Internet expert in order to make a living on the World Wide Web. The truth is, you don’t have to have advanced technological knowledge, a degree in web design, or a large start-up budget to launch a profitable business online. Millions of ordinary men and women are finding their niche online and using the same techniques I’m going to show you to gain financial freedom opportunities and instantly achieve independence from the corporate grind. It doesn’t matter if you’re a stay at home mom looking to supplement the family’s income, a college student with no cash flow, or a retiree on a fixed income, you can use the ideas I’m sharing with you to easily set up shop on the web and start profiting immediately. It’s a common myth that if you have the right tool, you can make millions overnight. This mindset is setting many people up for failure and disappointment. The only ones who have pulled in $1 million within a 24-hour period are those who worked long and hard to set that kind of success up. 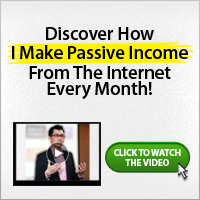 Many people who want to earn a living on the Internet get overwhelmed by the sheer number of ways you can make money. In this post, I will show you what works – so that you can cut to the chase and avoid the pitfalls of trial and error. 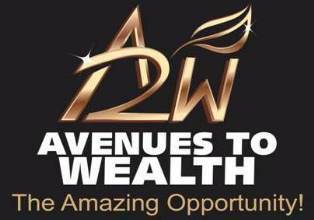 In the end, it is possible to build up to millionaire status – if that’s what you truly want. However, you should set your sights on learning enough to gain financial stability and eke out a comfortable living. 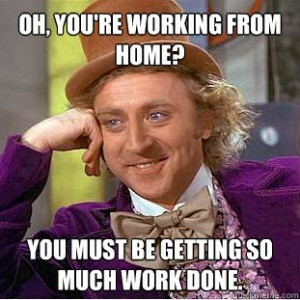 There’s one perk attached to working from home on the ‘net that doesn’t have to do with being able to work in your pajamas, see your family more, or not having to answer to a boss. Your earning potential knows no boundaries. You never have to request a raise, wait patiently in line for a promotion, or look for a job that pays more. You can sit down and develop as many money-making opportunities as you want until you reach a level where you feel comfortable. Not everyone has the same skills or enjoys the same working environment. While anyone can accomplish the profit-pulling strategies I’m going to teach you, not everyone will gravitate to the same income streams. Some of you may feel right at home developing online content and reaping the rewards of being a writer. Others may not be able to string two words together, but you have a sixth sense about the market and what the demand is within a certain niche. Part of the learning curve that does so many entrepreneurs in is spending dozens of hours finding what works for them. They have to blindly face the obstacles, learning as they go. With this series as your guide, you’ll know after reading a specific strategy whether or not you’d like to try it, and I’ll be very honest and give you insight into the pros and cons of each method. You might see several items in the list that appeal to you, and some you never want to attempt. But keep an open mind to them all – because every method contained in these pages is currently a technique being used to support others who are earning a living fulltime on the Internet. You’re not relegated to choosing one career path and sticking to it, either. On the Internet, it’s perfectly common for entrepreneurs to have many businesses running all at once. One money stream may be from eBay, another from selling information in an eBook, and yet another pulling in profits just by participating in online forums! In fact, most online entrepreneurs set up a second income opportunity the minute their first is successful. It’s addictive mastering an online education in financial success! The best part is that you won’t need to go around to investors trying to raise capital to launch your start-up business on the ‘net. You won’t need to rent office space, and there’ll be no overhead expenses for employee salaries. All you need is a computer and an Internet connection and you can catapult your Internet income forward. Ready to get started? My favorite place to start is the free way, so we’re about to embark on a method that gives you freedom to get your feet wet for absolutely nothing! To get the next post on this, please subscribe and become part of our loyal subscribers. Doing that will help you get the update when a nex post is published on this blog. You will also get to know more ways through which you can make real money online legitimately as soon as possible.